Since the end of Suharto’s so-called New Order (1966-1998) in Indonesia and the eruption of vicious group violence, a number of questions have engaged the minds of scholars and other observers. How widespread is the group violence? What forms—ethnic, religious, economic—has it primarily taken? Have the clashes of the post-Suharto years been significantly more widespread, or worse, than those of the late New Order? 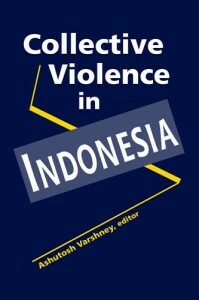 The authors of Collective Violence in Indonesia trenchantly address these questions, shedding new light on trends in the country and assessing how they compare with broad patterns identified in Asia and Africa.